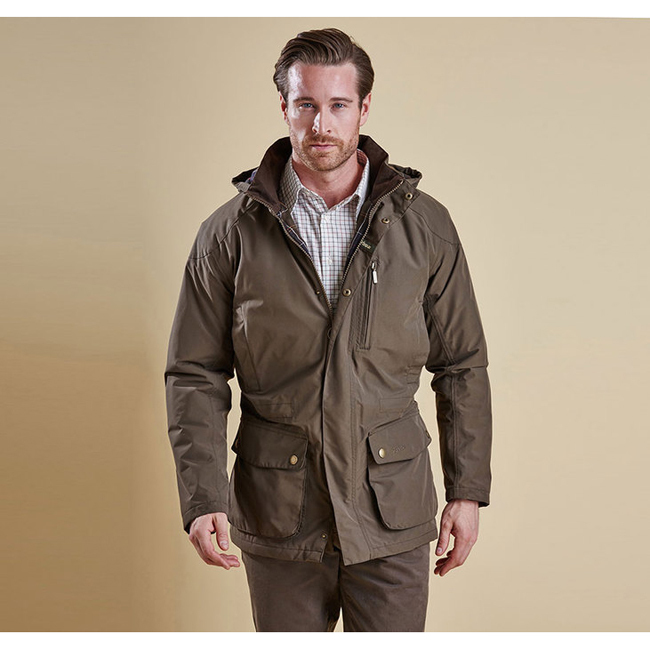 Based on Barbour’s popular Sapper Jacket, the Linton is a smartly styled men’s waterproof jacket that makes a practical addition to any wardrobe. It’s crafted with a lightweight waterproof outer and a cotton-rich Barbour Tartan lining, for dependable wet-weather defence that won’t restrict breathability. The sleeves are lightly wadded for extra warmth, while the generous hood can be detached for an alternative look on dry days. Waist-height handwarmer pockets are a welcome feature when temperatures dip, and two lower bellows pockets team with a zipped chest pocket to keep essential items close at hand. This fit as expected. It will be good for a light rain jacket in the summer. May be too chilly in the spring or fall, as it is pretty thin.